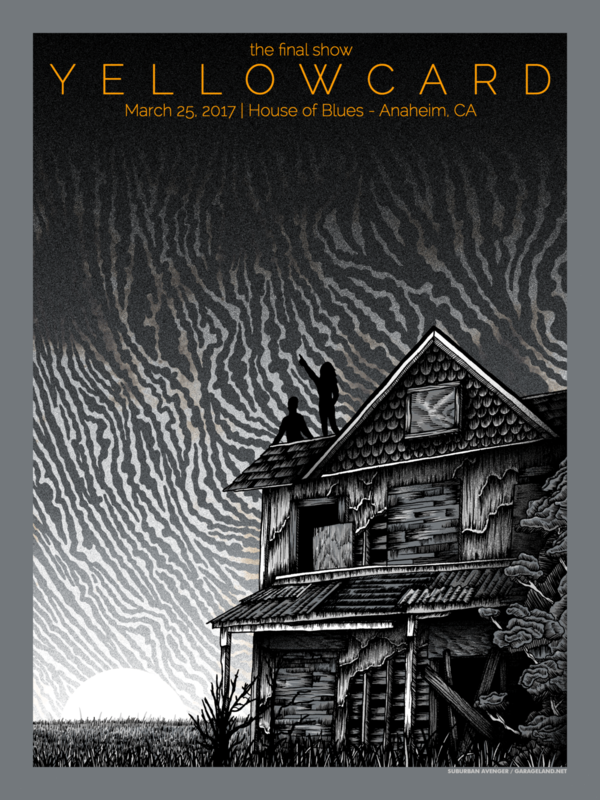 This is the poster for their very last show, in Anaheim, California. I flew out from Maryland to see it, that was an absoloutely incredible experience. Yellowcard's one of those bands that's always sort of just been on shuffle for me for as long as I can remember, doing these posters was an absolute honor.